A very special haircut was done at Caprio’s Yesterday. 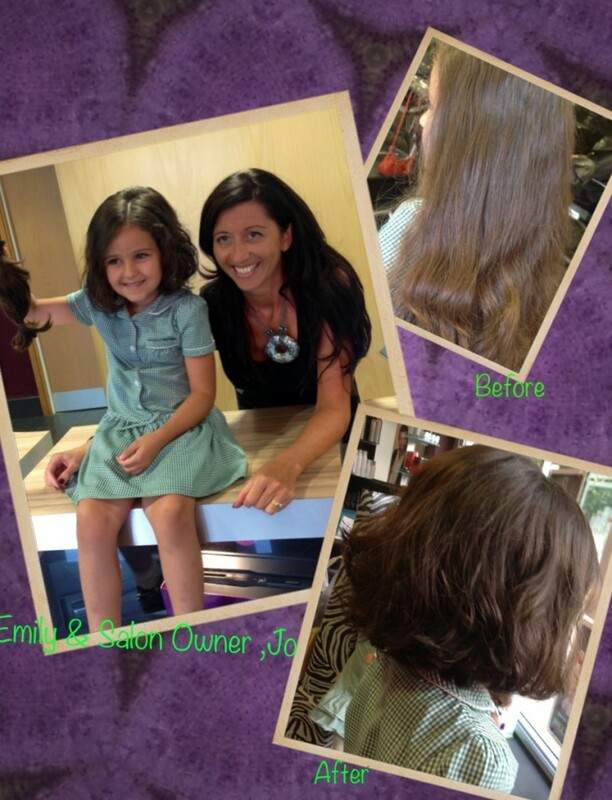 5 year old Emily Buchanan from Westfield Primary School in Wombourne had over 7 Inches chopped off so she could donate it to The Little Princesses Trust. This charity make real hair wigs for children that have lost their hair through illness. It was Emily’s decision to have this drastic haircut which at only 5 Years old is one of the most inspiring and selfless actions i think i have heard off in a long time. Emily’s mom, Joanne Buchanan was so proud of her little girl and rightly so. If you’d like to help Emily raise the £350 it costs to make one of the wigs then you can make a donation on the Just Giving page that Joanne has set up.